Stories of the places we visited in Japan could be read in this link. It's the place for everyone! Moms would love shopping here, kids would love the amusement park, and Dads would love taking pictures:p Our stories visiting Hong Kong could be read here, while our story of visiting Hong Kong with kids could be read in our kiddos' blog. Reviews on Hongkong hotels could be read here. We fell in love with Senado Square and its egg taart! Though only one day in Macau, the place has impressed us. Read our one day Macau experience in this link. 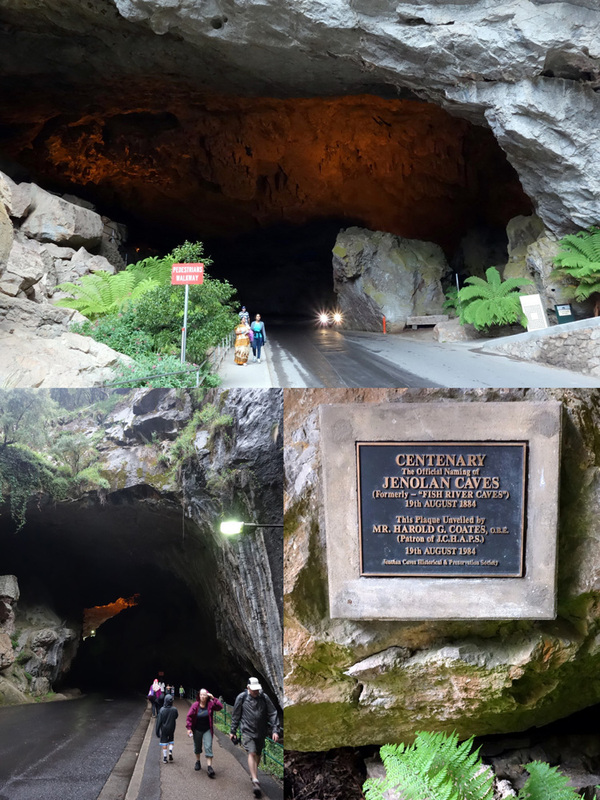 We visited JB on our mommies day out trip from Singapore. Read our first visit to JPO (Johor Premium Outlet) and also the rest of the stories of our weekend getaway in Johor Bahru. And of course, our visits to Legoland Malaysia! Actually I visited Kuching because we extended our business trip from Pontianak. Read our story here. As our fave low cost airline -Air Asia- has been giving promo ticket to Kuala Lumpur, so it's considered cheap traveling to Kuala Lumpur. Going up to the Twin Tower is one of things to do in KL, and also to enjoy the food. To find our hostels and hotels in Kuala Lumpur, you can check our post in this link. It's a nice, quiet and peaceful place. We did snorkel at Pulau Payar and of course we tried the Langkawi Cable Car. It was a thrilling experience! 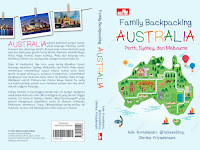 Our traveling with kiddos to Langkawi could be read in our kiddos' blog. We have also visited Penang due to promo ticket from Air Asia, and I must say Penang is better compared to KL if you plan going to Malaysia with your kids. Visiting Charlie Brown Cafe should be on your itinerary when visiting Penang. Read also our review on a kids friendly hotel in Penang called the Golden Sands. Our family love beach so much, and that's why we visited Redang Island, 45 minutes away with boat from Kuala Terengganu. We love the white sand at Redang Island! We stayed in Wisana Village, and the view from the resort is just amazing. If you love beach like us, you have to visit Redang Island. This tiny country is amazing, and very innovative in term of their tourist destination and shopping places. They always offer something new to explore! It's also easy to find halal food in Singapore. 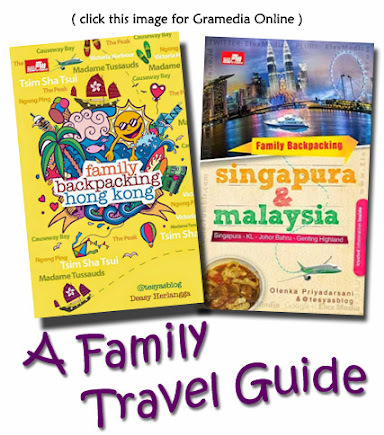 If it's your first time traveling with your kids abroad, then go to Singapore. Looking for a place to stay in Singapore? You may look at our Singapore hotels and hostels review here. 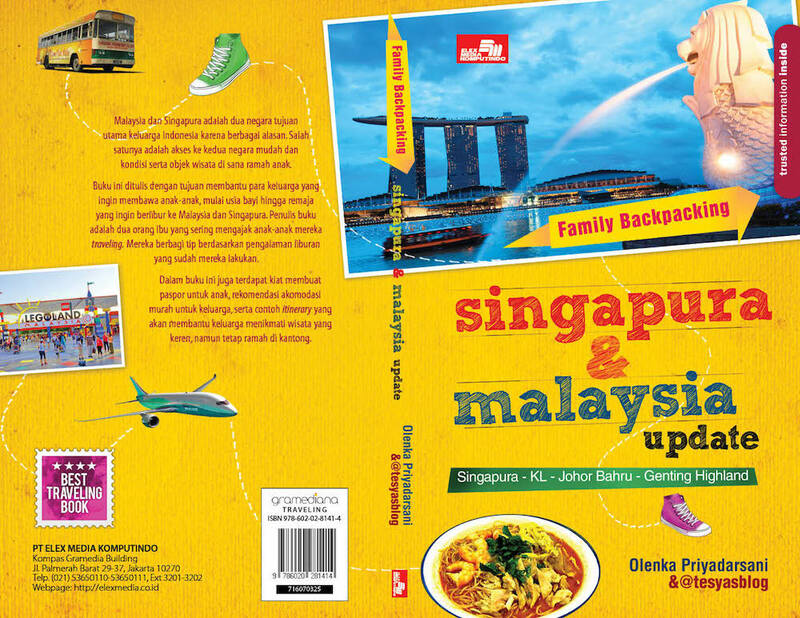 Don't forget to download our free ebook travel on Singapore in this link. An exotic city to visit, my highlight of the visit was the Damnoen Saduak floating market, read all of our exotic journey to Bangkok here. You may also read review of the budget hotel and hotels we stayed called in Bangkok through this link. And if you'd like to find a halal resto in MBK, read our review of Yana Resto. 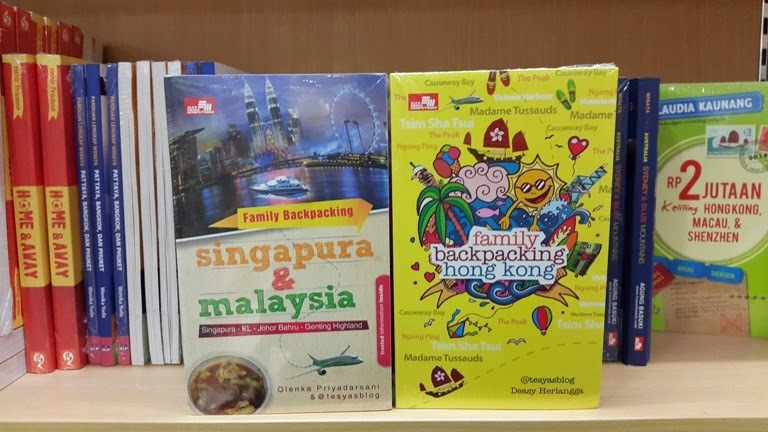 For your further reference, purchase our books: Family Backpacking Singapore & Malaysia, and Family Backpacking Hong Kong. Hai Mba or Mas (sayangnya ga ada nama jadi aku ga tau nih hehe).. Thanks for reading our blog yah.. :) Mudah-mudahan blog nya bisa bantu mba or mas planning liburan berikutnya. halo mba tesya,tahu ga ya kalau beli tiket USS lewat online masih free discount voucher atau tidak?